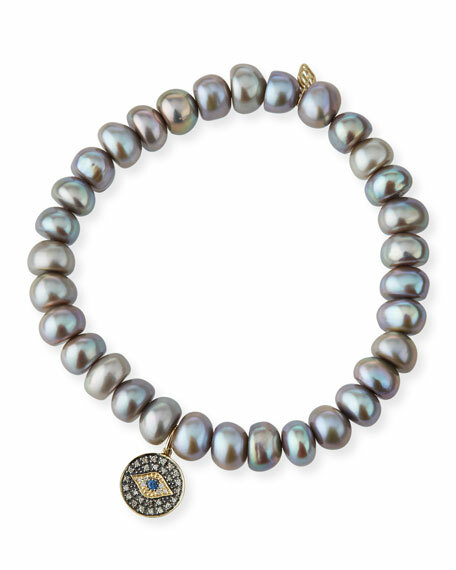 Sydney Evan bracelet with evil eye charm. 14-karat gold logo charm and disc charm. Mixed diamond and sapphire evil eye disc. 8mm gray dyed freshwater cultured pearls.